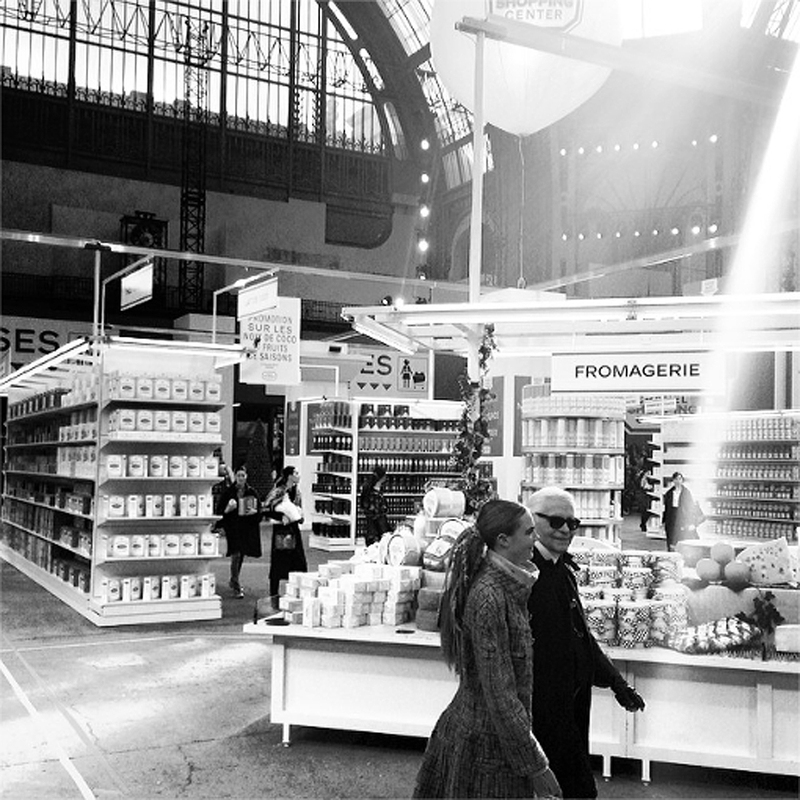 Cara Delevingne and Karl Lagerfeld take a tour of Chanel’s Shopping Center at f/w 2014/15 Paris fashion week. Photo instagrammed by Julia Restoin. 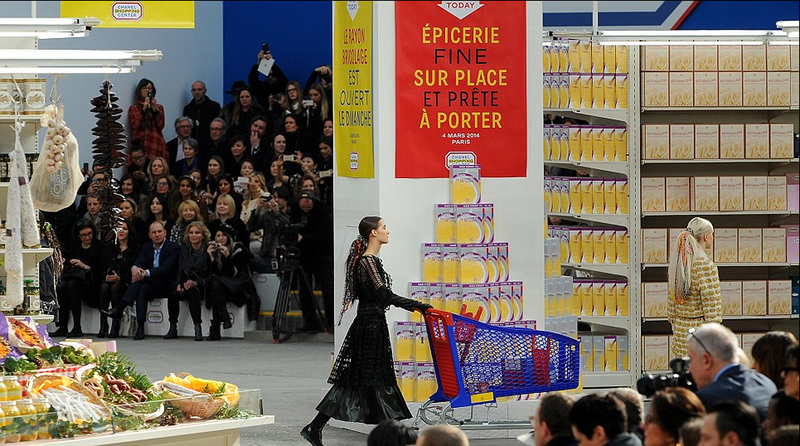 Across the web, fashion writers are calling this morning’s Chanel fall/winter 2014 show a “supermarket sweep.” For the over-the-top runway presentation, Karl Lagerfeld transformed Paris’s Grand Palais into an uber-chic supermarché offering Chanel-inspired goods like CoCo Chanel Coco Pops, Confiture de Gabrielle, and Cambon Jambon. The models themselves were made over to look like upper-class ladies of leisure, showing off hour-glass tweed coats, lustrous workout-inspired knitwear, and kaleidoscopic sneakers. As they reached the end of the catwalk, they lingered in makeshift aisles, placing goods in shopping carts and baskets bedecked with iconic Chanel chains. 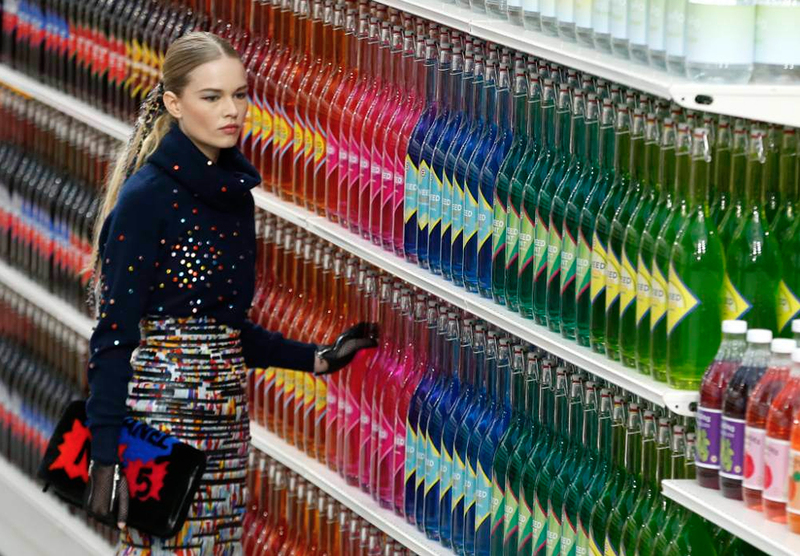 A model shops for a beverage to match her colorful outfit. 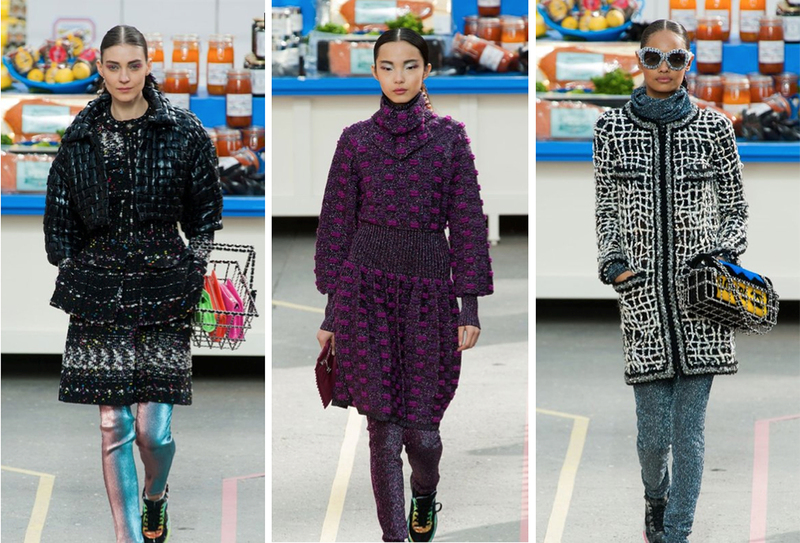 Karl Lagerfeld explores the more casual side of Chanel with knitwear and sneakers for f/w 2014/15. Fashion editors watch as models weave in and out of aisles picking up Chanel-themed goods.